CDC: Time To Curb Narcotics Overdose Epidemic : Shots - Health News A report from the Centers for Disease Control and Prevention says the nation's emergency rooms are seeing far more overdoses of prescription opioids such as OxyContin and Vicodin than heroin or cocaine. 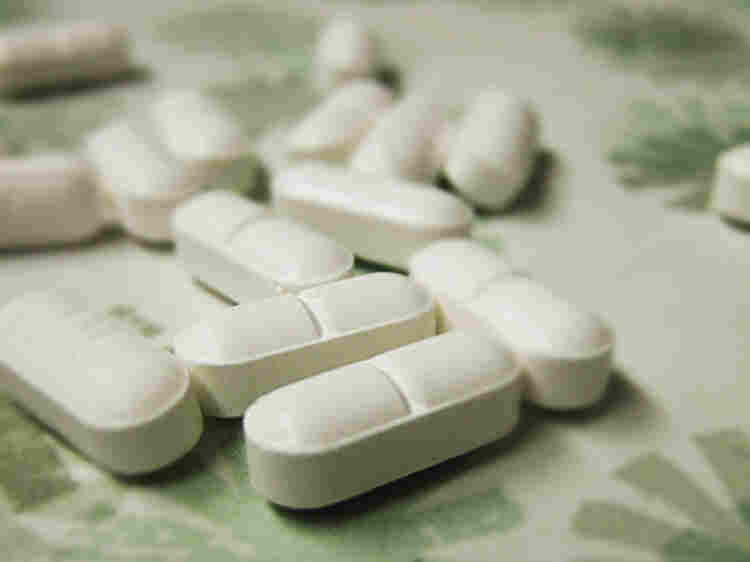 More people end up in the emergency room from overdosing on Vicodin, pictured here, and other prescription painkillers, than heroin or cocaine, a government report says. Federal officials say they're making headway in their push to stem abuse of addictive painkillers. Still, they say, U.S. doctors are prescribing enough narcotics to medicate every American around the clock for a month. The Centers for Disease Control and Prevention says drug overdoses may soon overtake car crashes as the nation's leading cause of fatal injury. Most of these fatal overdoses involve prescription drugs. The new CDC report says the nation's emergency rooms are seeing far more overdoses of prescription opioids such as OxyContin and Vicodin than heroin and cocaine combined. "The shocking news is that we are in the midst of an epidemic of prescription drug overdose in this country," CDC director Thomas Frieden said at a Tuesday teleconference. "Fifteen thousand people died from prescription drug overdose last year. That's about 40 deaths per day." Frieden lays most of the blame at the feet of relatively few U.S. doctors who prescribe opioid painkillers too freely – either out of ignorance or greed. "In fact, now the burden of dangerous drugs is being created more by a few irresponsible doctors than by drug pushers on the street corners," Frieden says. 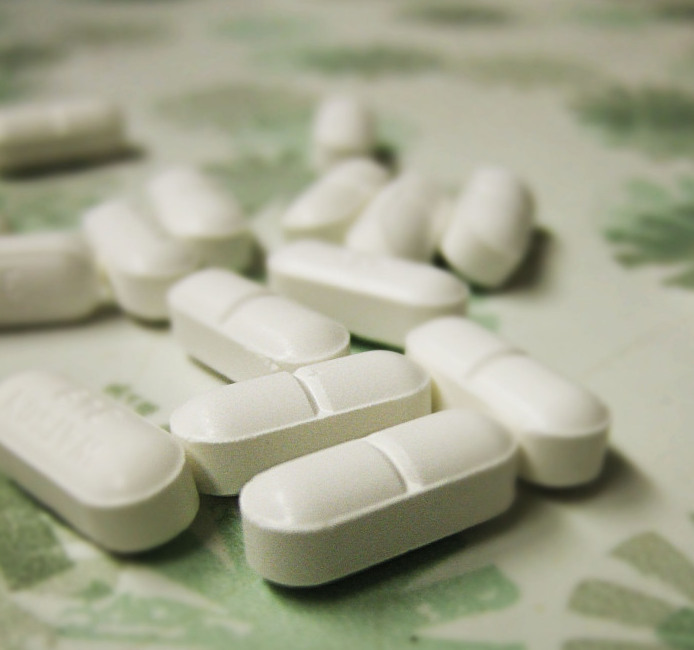 The CDC report cites one recent study that found only three percent of doctors accounted for 62 percent of opioid painkiller prescriptions among California workers' comp recipients. But some doctors are speaking out against the problem, as we reported last month. Frieden was joined at the press conference by national drug czar Gil Kerlikowske, whose official title is director of the White House Office of National Drug Control Policy. Last spring, he unveiled a plan to fight prescription drug abuse. But Frieden says states with PDMP laws "are still figuring out how to use them optimally." Oklahoma is planning a real-time PDMP system, Frieden says, "so that when opioids are prescribed, they're in the system within five minutes." Other states are pushing out alerts to doctors when patients fill a suspicious number of painkiller prescriptions, to guard against "doctor-shopping." As an example of the difference state initiatives can make, Frieden points out the big disparities among states in rates of drug abuse deaths. "It's quite striking," he says. "West Virginia is the second-highest in the country at 25.8 opioid deaths per 100,000 population. Right next door in Virginia, the rate is 9.1 – one-third the rate just miles away. This highlights the importance of states getting policies right on prescription drug abuse." But laws like these won't be enough to curtail the rapid rise in prescription painkiller abuse, the two feds say. The problem often begins at home, where temptation lurks in many families' medicine cabinets. As much as 40 percent of all prescription drugs go unused, Kerlikowske's agency says, and seven out of 10 medication abusers get their drugs from friends or family. "I urge every parent to take time today to properly dispose of unneeded or expired medications from their homes," Kerlikowske says. The CDC says the trick will be to reduce prescription painkiller abuse without cutting off access to people who really need these drugs. Frieden has some rules of thumb. If a patient comes into a doctor's or dentist's office with acute pain, doctors should write a three-day prescription rather than a month's worth. And for patients with chronic pain, he says, "narcotics should be a last resort," after trying non-narcotic analgesics and physical therapy.